A shark bumped a snorkeler in Maui, Hawaii prompting officials to close several beaches. The 40-year-old woman from Canada was approximately 10 yards off Kama’ole II and Kama’ole III around 12:30 p.m. when she was bumped. She had minor abrasions to her left arm and thigh from the 8-foot grey shark’s skin, but declined medical treatment. After the incident, the Kama’ole beaches were closed and patrols were sent to warn beachgoers of the incident. No sharks were spotted and the beaches were reopened a little over two hours later. Mākena State Park was also closed due to a shark incident the previous day. Two spearfishermen had just speared a fish when an estimated 8-foot Galapagos shark snatched their catch and followed the two men back to shore. The risk of a negative shark interaction increases in Hawaii during the month of October. Data from the Department of Land and Natural Resources Division of Aquatic Resources (DAR) shows there were 122 unprovoked shark bites in Hawaiian waters from 1980 to 2015. Twenty-one percent (21%) of the bites occurred during October. The October syndrome could be explained by the birthing habits of tiger sharks. 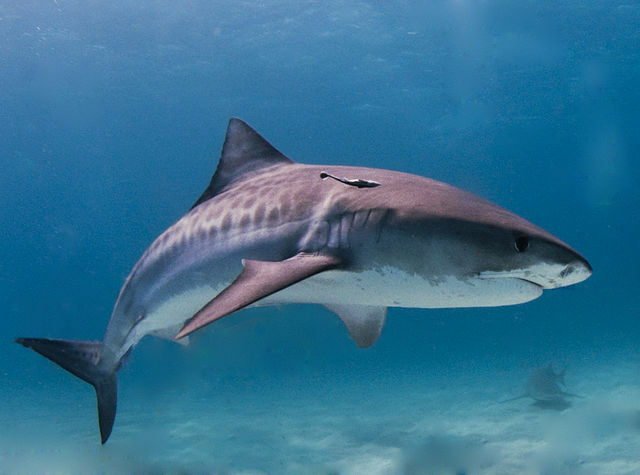 A study by the University of Hawaii, funded in part by the DAR, found around 25 percent of the Northwestern Hawaiian Island female tiger sharks migrate to the main islands during the fall to give birth. The large number of pregnant and birthing sharks near shore creates circumstances with potential negative human and shark interaction. The sharks are looking for sustenance and may confuse humans as prey. While the odds of being bitten by a shark are extremely low, ocean-goers can help prevent an attack by staying in groups, using a beach with lifeguards and avoiding murky water, especially around river mouths. There have been a total of 83* shark attack bites in 2017, 5 of which were fatal*; 41 were reported in the US, with 28 occurring in Florida** and one in Hawaii. Twelve have been reported in Australia, one of which was fatal. Five unconfirmed worldwide and not included in the total count.